How to use the power of your own voice to catalyze self-discovery and spiritual awakening. The spiritual masters from traditions East and West have known for centuries a truth that most of us typically overlook: we each possess a built-in mechanism for spiritual awakening. What is it? The sound of your own voice. 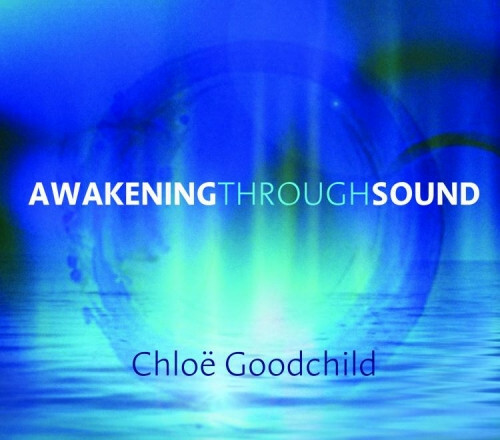 On Awakening Through Sound, internationally acclaimed singer and sound healer Chloë Goodchild presents a five-CD-and-DVD program that will teach you how to harness the transformational power of your individual voice and sound. Have you ever had the unexplainable urge to sing at a restaurant or in the middle of an office meeting? It seems outrageous, but there is a voice buried within you that wants to do just that, explains Chloë Goodchild. This is your "naked voice"—the deep song of your heart that contains all your longing, joy, grief, and passion—the "raw truth" of who you are. With Awakening Through Sound, you will learn how to fearlessly engage with your own naked voice—to listen to yourself and others with "unconditional ears," to integrate heart, mind, and body, and to release your full creativity. Chloë Goodchild draws from 30 years of teaching thousands around the world to gently guide you through a full range of vocal and physical exercises. Join this pioneering sound healer for a daring curriculum that will help you break through your vocal limitations, access latent insight and intuition, and bring the gift of your true Self to everyone around you. "Chloë Goodchild awakens the pure power of light in the realm of healing sound, song, and chant. Her gentle vocal revelations invite the wisdom of beauty to unfold and awaken our hearts." Review for Awakening Through Sound Review by Dr. Edw.